Want to start off this review by saying that this is without doubt one of the better products I've come across for a long time. Many thanks to "Raimonds" here on the forum, the designer of this product - who introduced and let me demo this product. 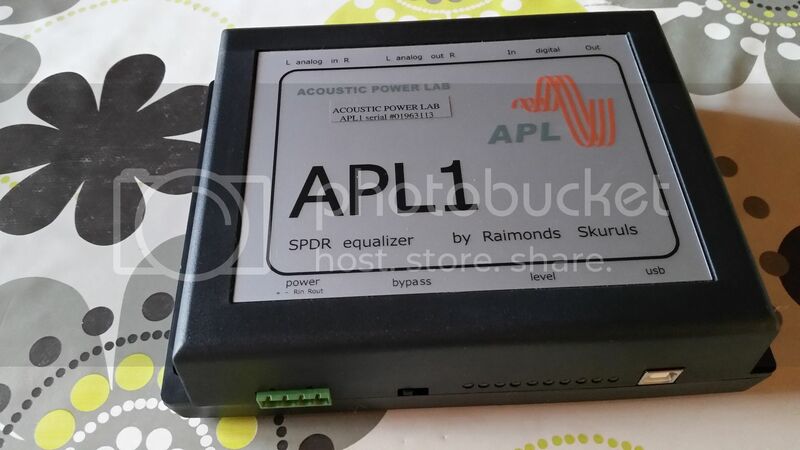 APL1, basically an advanced equalizer which utilizes FIR (Finite Impulse Response). It can form any curve you desire with very few restrictions, in addition to that it also corrects phase deviations in all minimum phase regions. Instead of reciting the entire spec I'll just copy/paste it from the official website. APL1 is a FIR based 2 channel equalizer with 4096 coefficient FIR filters per channel allowing curve resolution of up to 6Hz. 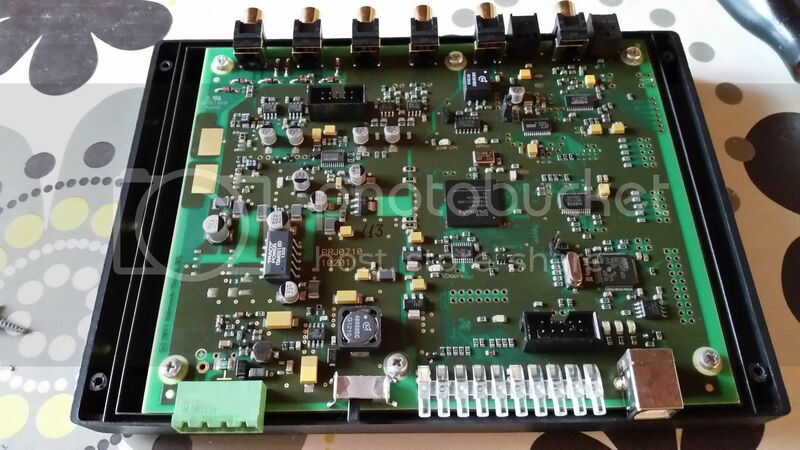 It is capable of creating any arbitary Amplitude Frequency Respone (AFR), Phase Frequency Response (PFR) or Delay Frequency Response (DFR) suitable for very detailed and accurate corrections and equalization in critical applications such as studio monitors, headphones and car audio systems. USB connection allows the upload of correction filter files to APL1 unit even in the middle of a live performance without any disturbdances in sound. 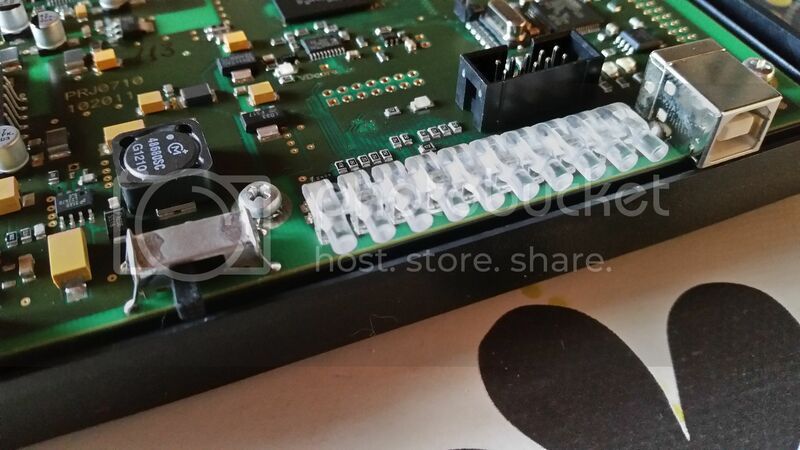 The unit can optionally have a 16 preset memory accessible trough an external, freely placeable rotary switch, excellent for car audio installations. 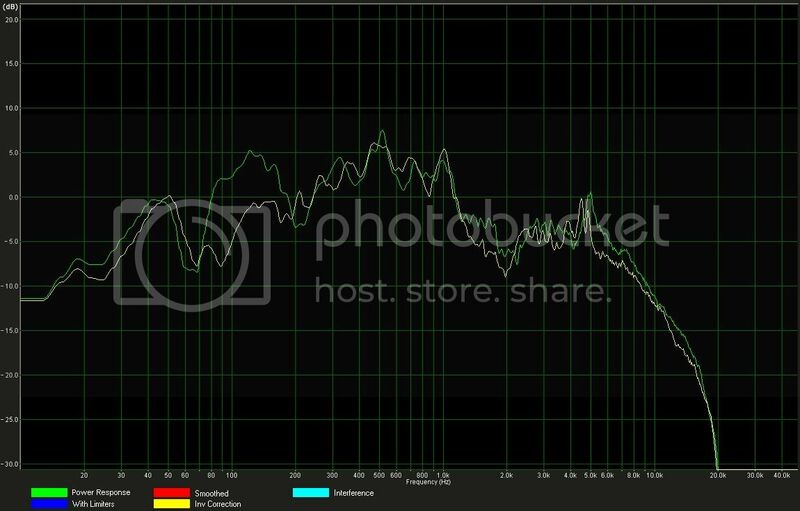 *Dynamic range (analog input/output):104 dBA. *Power: 6.5 to 16 V DC, 3.5 W.
A little summary of the pictures. The components are high-grade as far as I can tell, ICs from Burr-Brown and ST. 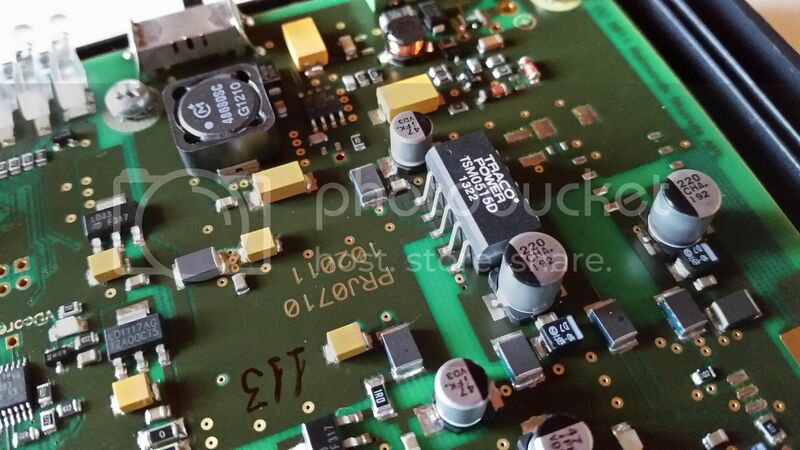 The circuit board is sturdy and it looks overall well engineered. I really like the USB connector, lots better than those small mini/micro USB connectors. Connections are gold-plated and feels sturdy, you don't break the board when you pull of those tight RCAs. 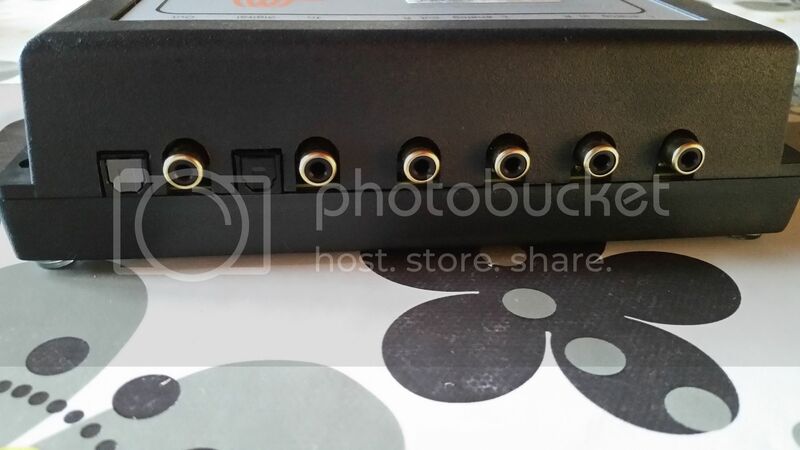 Removable power connector for quick install/removal. The impressive part is yet to come though! Does it look complicated or perhaps different? Let's "dumb it down" a bit. 1. APL measures and applies a curve which YOU CHOOSE. 2. Any curve can be modified or created saved as a simple text file. APL will interpolate adjacent frequencies. 3. APL uses multiple measurement points to find out the true sound power response (direct sound + reflections) of the listening space. This is feature different from using pink noise and an RTA. You can choose the "window" of the impulse response which basically determines the low-end accuracy. For car-audio use, Raimonds recommended 200ms length. You only need to choose the appropriate file and leave it at that. Nothing complicated. Initial setup - Simple 2-way passive + sub - No EQ (Crossovers at 100Hz 24dB/oct acoustic both ways). The null at 70Hz is a modal cancellation. Left/Right power response shown. Previous setup - Basic EQ and a few shelf filters applied using a MiniDSP. Left/Right power response shown. This is a neat little "extra" program that calculates filters, target responses, EQ, corrections etc. It outputs your curve to a text file that APL software can read and apply in different ways. Of course you can make one for each channel. Pretty neat. There's a large room for customization here. The thing I first noticed was that APL's version of flat didn't at all sound "flat", as in "RTA-flat". This made me curious to see how APL derived and displayed the curve. Below are results from RoomEQ using spatial average measurement method (headspace), using RTA and Noise with infinite averaging method. Well, this is interesting indeed. 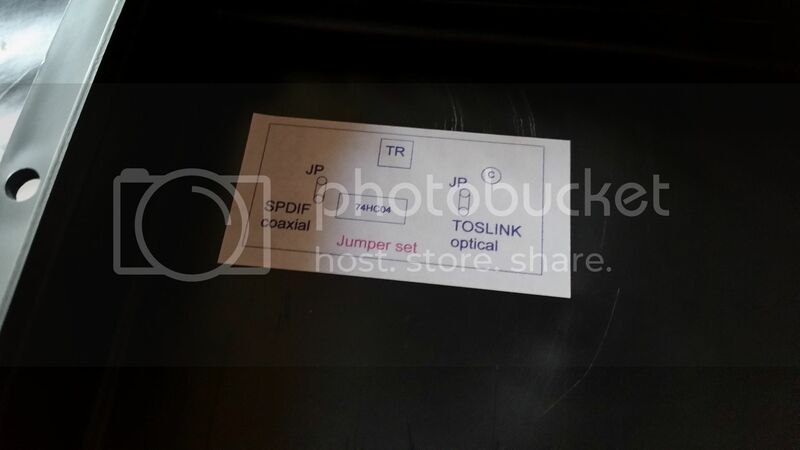 "APL Flat" isn't actually "RTA-Pink Noise flat". If you were to use white noise as excitation signal, the results are fairly consistent with "flat". Using pink noise, it does create a downwards tilted curve explaining how the difference between "flat" and "flat". Another interesting thing is that the right side (passenger side) is lower in amplitude than the left side. This is consistent with the listening experiments I did when I derived my "house curve/target response" in RoomEQ. And... thirdly, look how good the curves sum. 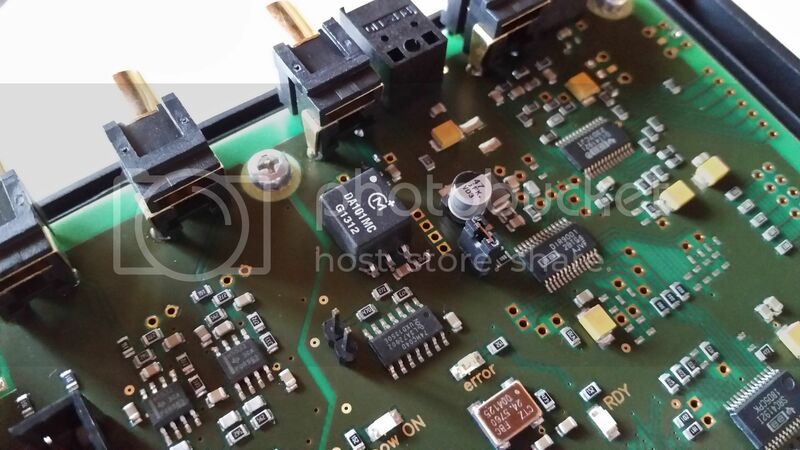 A testament that APL indeed performs proper phase correction between left and right. What does this mean? It means that APL does indeed derives data and compensating correctly and it correlates exactly with what we hear. *This is a very powerful unit, very different from the EQ available in the DSPs available for car use. Different in a good way, it can do things any "normal" DSP can't and it's easy and straightforward to use. *T/A and L/R EQ issues are gone with this unit. The acoustic center is perfect, even a simple 2-way passive system like mine sounded like a competition grade car. Depth is improved subjectively. Everything sounds clearer, more transparent and so easy to listen at. No annoying frequencies that stand out, even crappy recordings that normally is un-listenable suddenly becomes tolerable. The center focus is insane, the up-front bass is improved by an enormous amount (in this car). With a crossover point at 100Hz/24dB both ways, the sub was impossible to localize with any material (any amount of processing won't fix resonances in the car or non-linear distortion so take that into account) . The image stayed up-front and kept staying there. *My noise-free preamp is still broken so I couldn't run I/O tests but I'll tell you, it's transparent as far I can hear. No noise whatsoever, I even maxed volume with a 0 bit track but nothing. Couldn't hear any coloration with the unit in "raw-passthrough". *This unit does NOT replace an ordinary DSP, in fact you need an ordinary DSP as well. 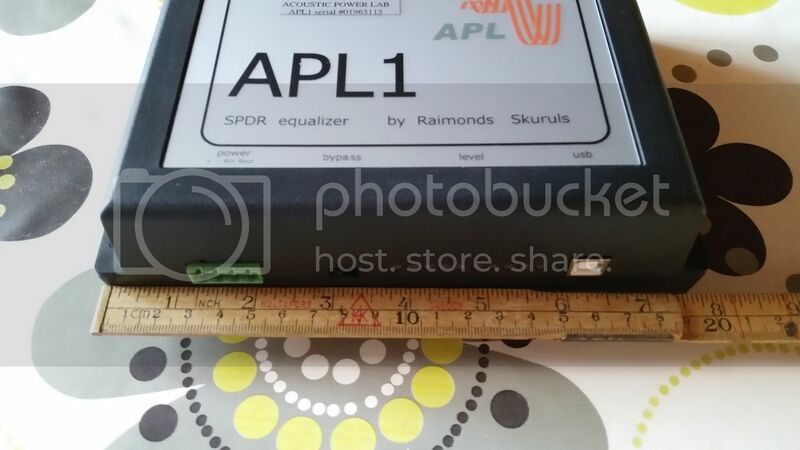 You place the APL1 unit before the DSP - 2RCA's in - 2 out. Not more complicated that that. If you don't own a DSP and is interested in this product, I recommend using it together with a MiniDSP (among the cheapest and best on the market). *Support and feedback is great! The value in this is enormous with these types of products. Last edited by Hanatsu; 11-25-2014 at 04:11 PM..
Raimonds has developed another software called TDA as well. Excellent in depth review. This product looks pretty amazing. Would be great if it had built in xover and TA as well. Just to clarify, you need to by the other software as well as the actual APL1 unit to actually tune right? 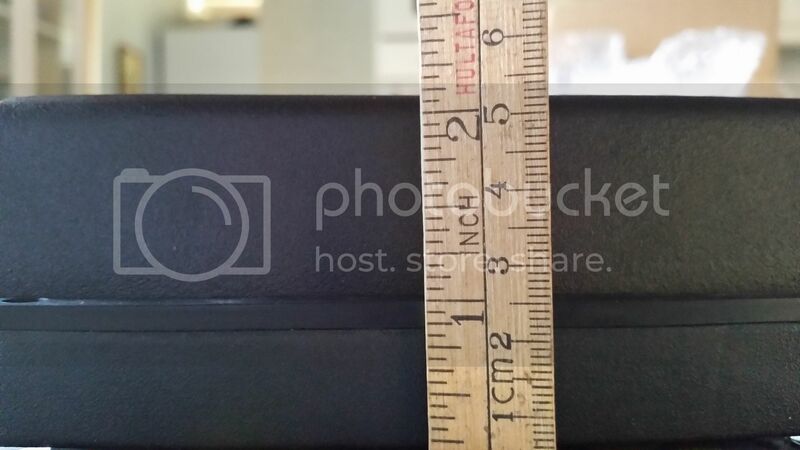 Well, the software that does the actual measuring can be used without the hardware unit. There's a VST-plugin for use with foobar2000 (for example) that carPC guys can use. You could of course use the software+VST in any home audio application if you use a mediacenter/computer as source. With the amount of money people spend on audio equipment that makes little or no difference I find this APL-system quite cheap for the improvement given. Tried it both with my home audio system as well as my cheap computer speakers and it does improve both staging and tonality. It makes cheap stuff sound much better than you thought was possible. Not trying to act salesman here but I think the money spent on highend source units/DACs/amps could instead be spent on proper processing, especially if we're talking car audio. 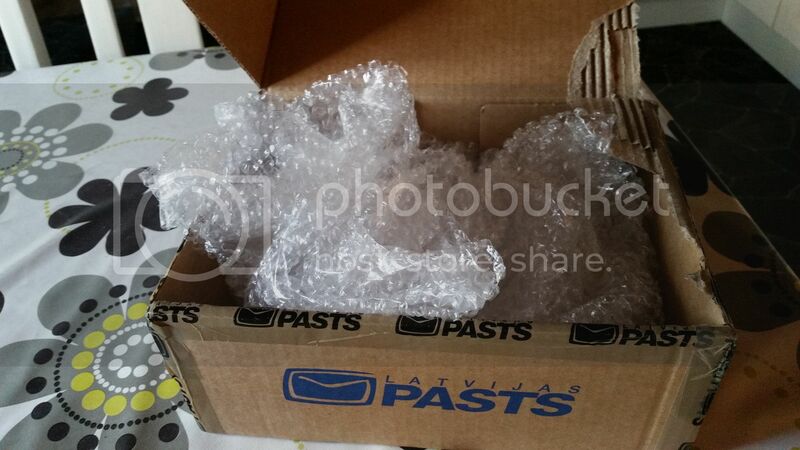 Agree with Hanatsu - it is hard not to be a good "seller" promoting this amazing device. I do remember some comments to my posts about one year ago, when I tried to describe my first reaction on this unit. I can not say anything but positive about this unit (APL1). 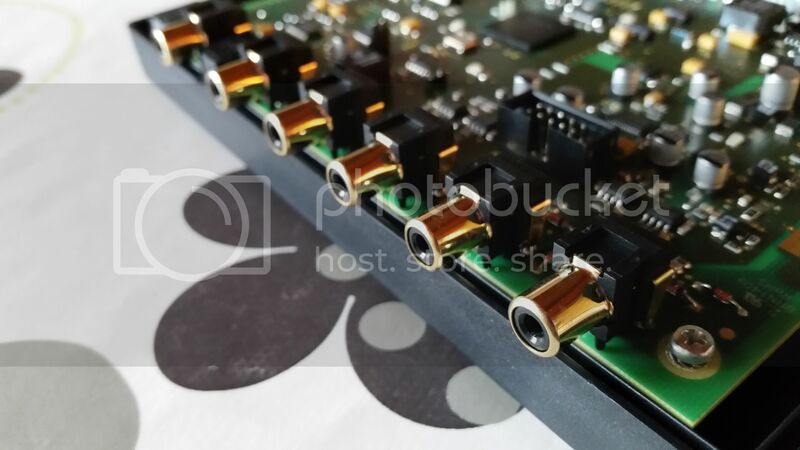 By the way APLAUDIO has different models, for example with balanced inputs (XLR) or even a modification for 6 channels called APL3 - very practical when you are building multimedia in a car (supports easily 5.1). 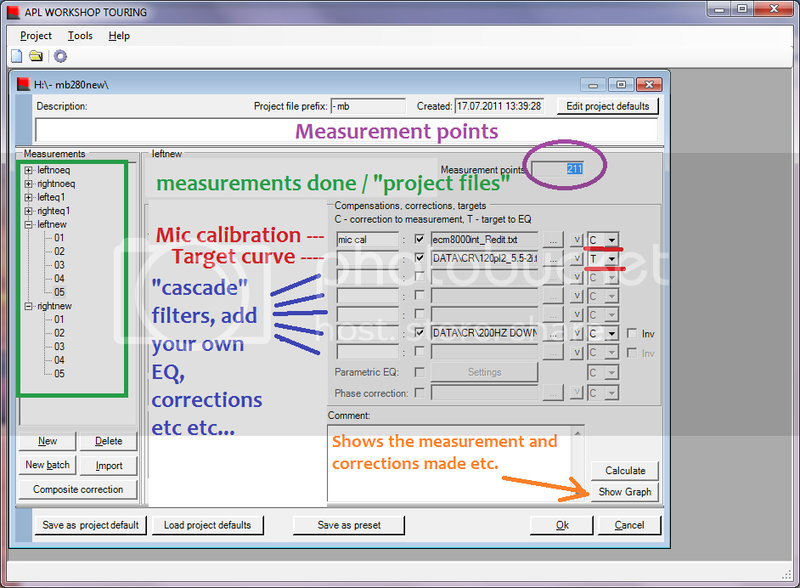 Regarding time alignment - you can use a demo version of TDA software (free). My sub is in trunk. Even it is in a close box - delay is about 25 ms. In order to adjust front compared to sub in a time domain I have used the third program, which was not mentioned by Hanatsu yet: Coneq C1. Even the max delay value is only 5 ms, it is possible to "delay" it several times using FIR-file. After 4 sessions I was already about the goal. The newest version of TDA (version 9) can also generate a text file comprising of three columns: frequency, delay and power responce. Non-linear distortions versus frequencies can be seen on a graf as well as delay graf in 2D, 3D, impulse responce, etc. Another practical feature is that you can asign one path for all these programs and use it for quick corrections. Listen - correct - apply (send to unit) - listen again, etc. APL1 can be also used for analysis of the components in every setup. Just was wondering how SUB gain works on my HU (Alpine CDA-137BTi) - as an example. 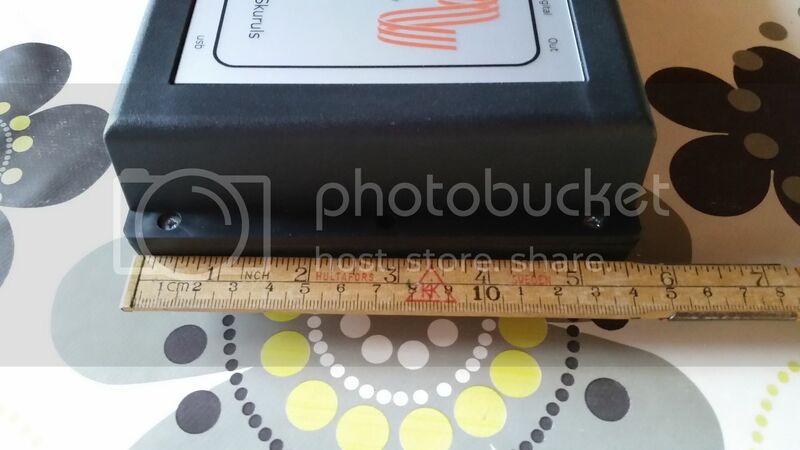 It is a powefull and at the same time easy to use device for research/investigation purposes. Do not forget that EMMA refferies gave two 1 places to the setup with APL products in 2014 (Zalzburg, Eurofinals), and awarded the car provided with APL1 unit with the title - the best sounded car in 2013. No more words needed. 1. Do I need to measure power response in full sphere around the headrest or, for example, in some plane with center at the headrest? Will changing measurement points field alter my results? 3. What about FR in the listening point using good old REW with single point or averaged? Is it comparable to what you were able to achieve before? 4. FIR filters are great for managing phase. Can you control phase with this device? Are implemented filters minimum phase or linear phase? Square wave response plots would be great to see. 5. Open source FIR filter-generation tools are well developed and tested. What exactly separates APL from them (except hardware, obviously)? 4096 FIR-taps is quite adequate imo. 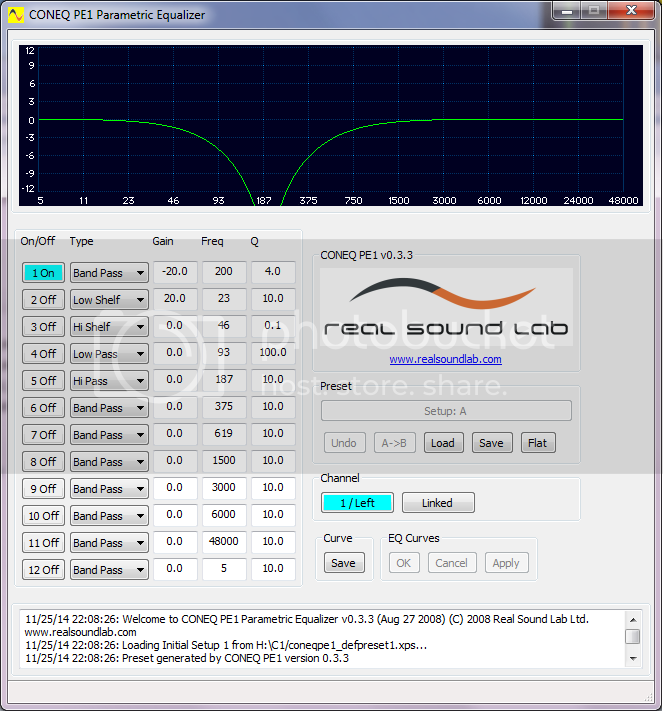 Most car audio DSPs doesn't use FIR based processing at all. Those which use FIR, doesn't really have an accurate method of obtaining a correct power response. 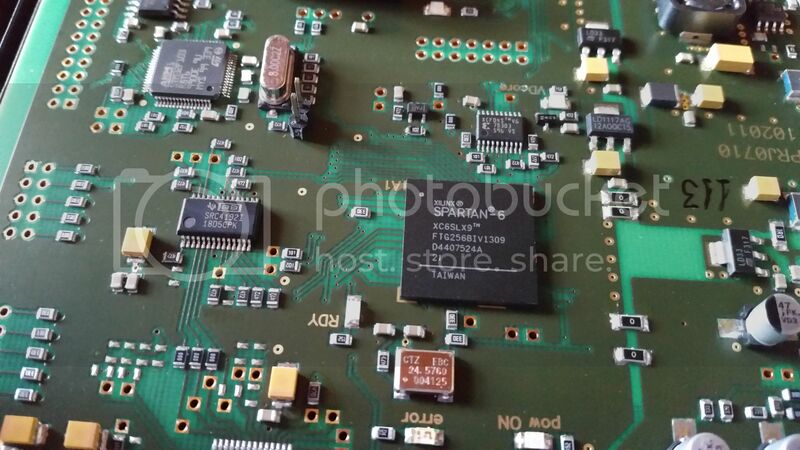 Alpine H800 is probably what comes closest but the how the Imprint calculation algorithm performs is questionable. 1. You measure the entire listening space, from the left side window to the right window, from dash height to the roof, all the way from the dash to the seated position. So 'everywhere' in the listening space where the main reflections occur. 2. 200ms is required to get enough resolution in low frequencies, you can choose a much smaller window if you like. I'm fully aware of the limitations and usability of gated measurements in a car. As I'm not the designer of the unit or software I can't give you a well educated answer, I can only observe and review the outcome. 3. 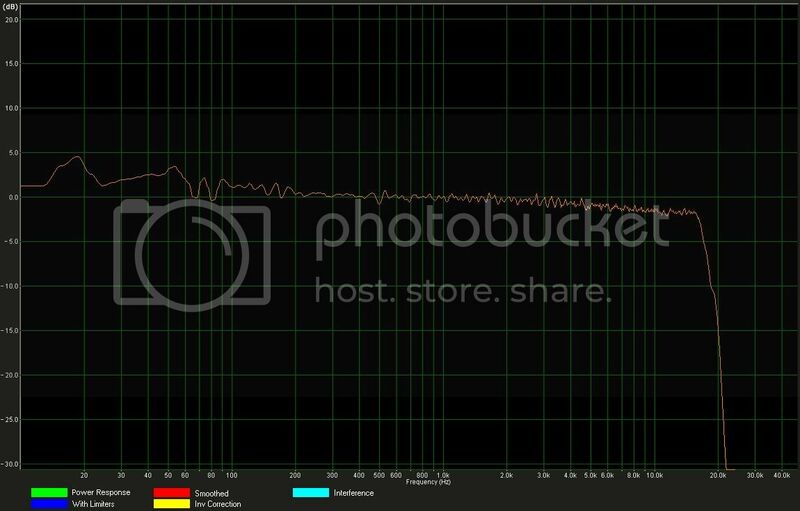 I posted graphs from RoomEQ measured using pink noise/RTA, using a "traditional" measuring method in my first post. I can't EQ the response to equal that of the APL. I could get it close but it did not sound or stage the same. I believe it has to do with the summed response. Even if the L/R response is close to that APL outputs the summed response look very different with peaks and dips all over the place. APL does delay/phase corrections as well. 4. Believe it performs minimum phase correction. It definitely "clears up" the the time domain. While I'm not sure, I believe it performs time alignment corrections at the same time as amplitude correction. I leave Raimonds to answer that properly though. 5. I've tried multiple FIR based DSP/computer software able to generate FIR filters. I've messed around with the openDRC miniDSPs with rePhase and a few other programs. They have not impressed me even after extensive experimentation. Perhaps I should not blame the software, it does what it's supposed to do, it's the way you obtain the data. APL uses multiple point sweeps which derives data from an IR. A noise generator coupled with an RTA won't be able to display any data about phase/time domain, which APL does and corrects for. What APL does better, much better than other software I've tried is the way it measures, averages and derives the data from measurements. Again, I don't know the specifics how it works, I can only tell you that it does. It's much more user friendly than most other solutions with similar properties. Will changing measurement points field alter my results? Forgot to answer that. I did the same type of measurements with noise and ordinary sine sweeps at multiple points with REW. I did not get the same results as APL or close to them after averaging. As far as I can tell, APL performs some kind of "weighed averaging". Beyond 200 points, my results were fairly consistent every time. Of course there is some know-how behind this unit and its soft. What differs this device from other product - is attempt to describe some theoretical background for this method. Some usefull information is present on the vendor's site, which to my mind can give answers to all these questions raised by ansuser. Another difference is that correction method is protected by a number of patents (in USA, Canada and other countries). I do not remember other DSP's with such protection. According to the manufacturer, the idea was awarded by "Pro Sound News Europe" as the best innovation in the field in 2005 and got the AES prize in 2007. Since 2011 that method has been adapted to caraudio application and finally got "best sound" prize at EMMA Eurofinals in 2013. So this small unit can do its job, I think (Has bought APL1 unit in 2012). I can just confirm - it is minimum phase, and do not forget - 4096 filters in the range 20-20000 Hz compared to other DSP on the marked, which have typically about 31 filters to control the frequency response. 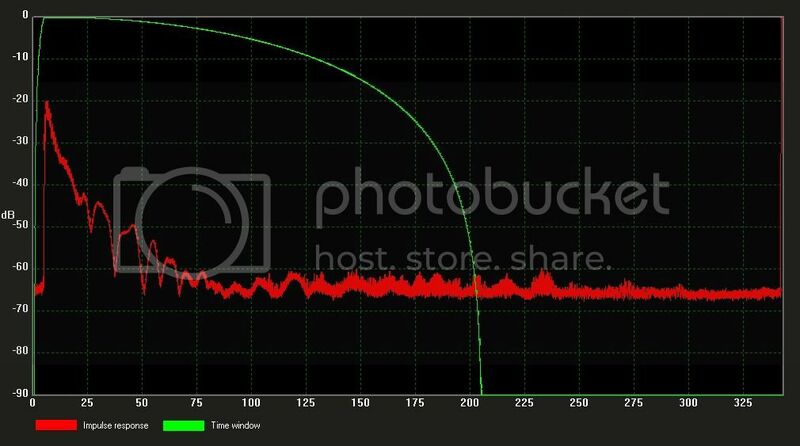 This means resolution of about 6 Hz per filter. Besides automatical correction of phase during caclulations, it has possibility to delay separate channels manually - this feature can be applied several times for fine tuning in the phase domain. Using TDA soft you will get exact delay values in msec for left and right channels (both in 2d, 3d-graphical presentations and output txt-file). 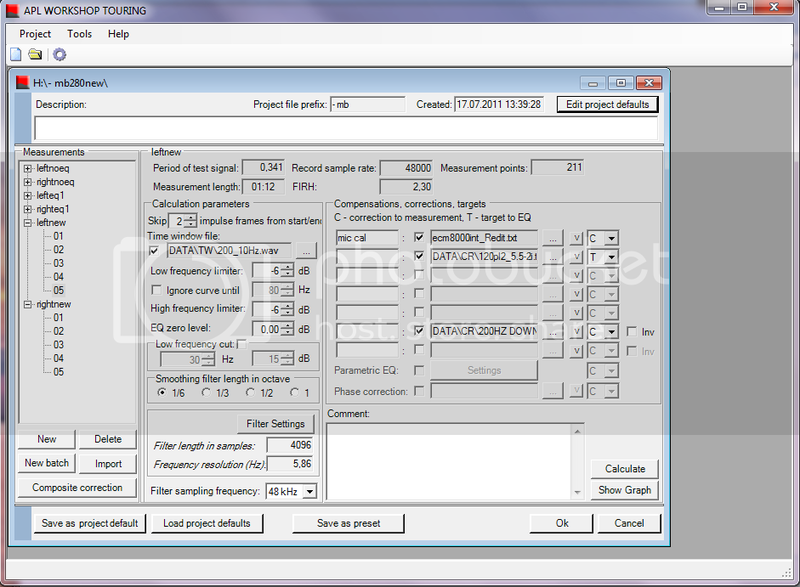 Appart from autotuning (for example Imprint for PXA100), correction method applied for APL1 unit is unlimited for further adjustments, which could be made by C1 parametric EQ and implemented in no time - new FIR-file will be sent immediately to the unit and you will be able to hear results just after that. Making averaging in listening position (or even testing only one point near the driver's headrest) will represent only small part of the information obtained by covering the whole space during the acoustic power measurements. Such measurements are well known in industry for testing noise level of pumps, motors, compressors, ets. You will need to know emitted power from them, that is why measurements should cover the whole surface around the noise source. Something similar is here with APL correction method. Regarding pink noise tests vers. sinus sweep signal, tha later is better protected from backgroung noise and intermodulations dew to the fact that full dynamic range can be used for a single requency, and not simultaniously for the whole range of pink noise. 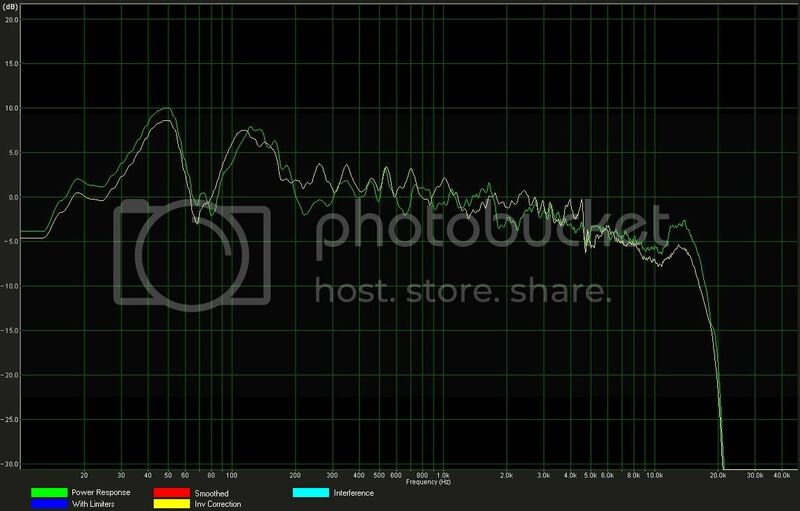 I personally tried to tune my system with different DSP's (max - 31 bands) and was not satisfied with the results. What APL1 did in my car - simply amazing. It made rather cheap setup playing rich sound with a deep sceene and tons of microdetails in music records. I'm able to listen more instruments than before. This actually changed little my music preferences, moving to big bands with more complicated sounds, as masking is much less now. What about pricing - to my mind is little bit more expensive (hardware+software) compared to the majority of DSP's on the market. But you get what you pay. I never regreat any cent spent on this device, more over - it saved a lot of my lifetime (no need of nightmare tuning...). In simpler words - champion sound to every car can be obtained at let say moderate price. 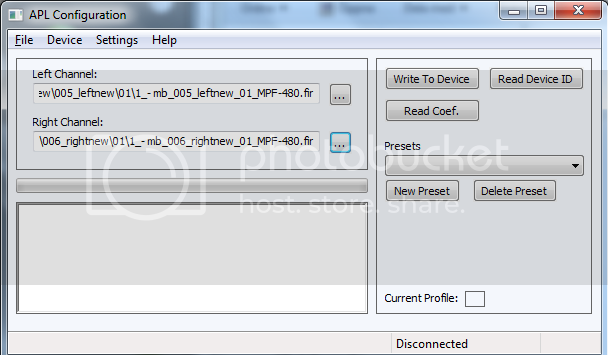 Sure, it is excellent device for professional installers, as they need to by only one copy of soft (+licence). For end users -400 USD just for APL1 - seems to be acceptable, am I right? 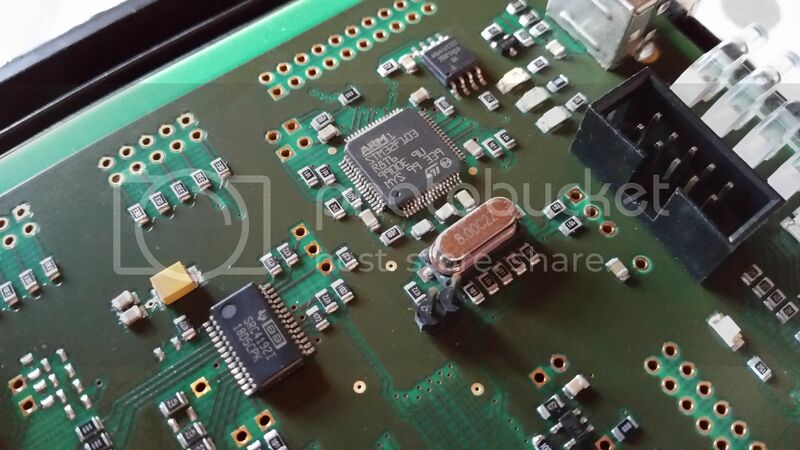 Missing details: Android and iOS app for control of this unit, blutooth port. But this is nothing with sound quality to do. Last edited by Alextaastrup; 11-28-2014 at 02:47 PM..
Forgot to tell - by increase of gating during the measurements, one should achieve less accuracy for higher frequences. That is why I decided to use only 100ms as my sub (closebox) had delay less than 50ms compared to front speakers. In the case of vented port or even more complicated enclosures (4thband, etc) - using of 200ms gating can be more preferable, but this can be validated by several attempts and comparing the results. One more thing that is rather important - how stable is this device in a real life. Let summarize a little. I had it about two years. Outside air temperature range was appr. -12 degrees Selcium (min) during the winter period and about +32 in summer time (max). Cabin temperature was not measured. No garage.The unit was placed in the trunk just behind the rear passenger seat - with natural ventilation (no fans). Would like to report - no issues at all. The same is with the software. It took some time to install all the components, including TDA (for time delay measurements), but since then - no problem. As it was recommended by the manufacturer, I have installed soft on the safe USB flash memory card and now can use every PC to run it. Had not tried yet on MAC computers, as I do not have any. Another usefull feature is 16 possible presets, which could be loaded at one time. If you do not like them, just change to another 16. Switching between presets - via external switcher - the only thing I use in everyday drive. 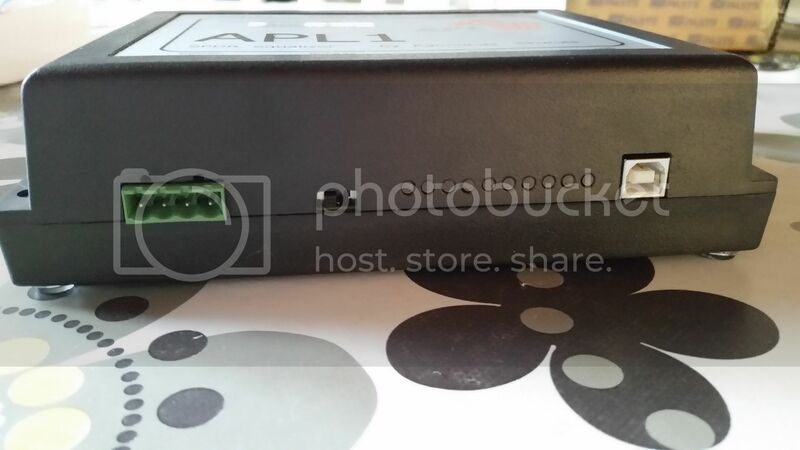 APL1 device is hidden away. Some of these preset positions I used to program in order to control volume of CD changer when connected to APL1 with Toslink cable. I made presets with the same FR, but at -24,-18, -12, -6, -3 dB. The idea of implementing some corrections to FR based om Fletcher-Muntzon curve is not implemented yet - still project for the future. ...and it got bluetooth? is that an addon? How do you do it? Do you have a computer in your car so you can easily change between presets? And thanks a lot for sharing your experience with it! Is there any info available on the APL3? Delay of separate channels (front left and front right) can be made using Coneq C1. While sending FIR-files to the unit there is a possibility of chosing 0-5ms delay. You can use different delay values. In my case, I have managed to move the sceen centrum to its optimal location by implementing delay difference of about 16ms between left and right. It was funny to hear the difference. When the sceen image was in place, the whole system began to "sing". Blutooth option and apps for smartphone - that is what I miss in this device. It was nice to have, but ... Maybe it will come in future as we know for Mosconi DSPs - addon module with AMAC protocol (up to 2 Mbit/s) - fine for streaming music files up to 48/24. Regarding APL3 - as far as I know, it is the same as APL1, but for 6 channels. Maybe I am wrong. After I have studied the vendor's site, I was not able to find more technical differences, so I believe that filosofy of the both devices is the same. APL3 unit was used in the champion car at EMMA Eurofinals in Zalzburg, March 2014 - 1st place in very heavy class (MM Expert). Hm... dunno if I got that program.